We invite you to connect with Safex and expand your knowledge about health and safety at this year’s Ohio Safety Congress on March 6, 7 and 8 at the Greater Columbus Convention Center. As always, several of our consultants are part of the presentation line up. Reserve your spot below to hear Dianne Grote Adams, Blair Everett or Nate Burgei share their expertise. Silica – Are You on the Right Page? Presented by Dianne Grote Adams on Wednesday, March 6, 2019, from 1:30 PM – 2:30 PM. Silica – I Get It, Now What? Presented by Dianne Grote Adams on Wednesday, March 6, 2019, from 2:45 PM – 3:45 PM. Stormwater Compliance: Everything You Need to Know Co-presented by Blair Everett on Friday, March 8, 2019, from 1:00 PM – 4:00 PM. The Anatomy of an OSHA On-Site Inspection Presented by Nate Burgei on Wednesday, March 6, 2019, from 12:00 PM – 1:00 PM. Don’t forgot to stop by our booth, #321, for giveaways and a few fun surprises. 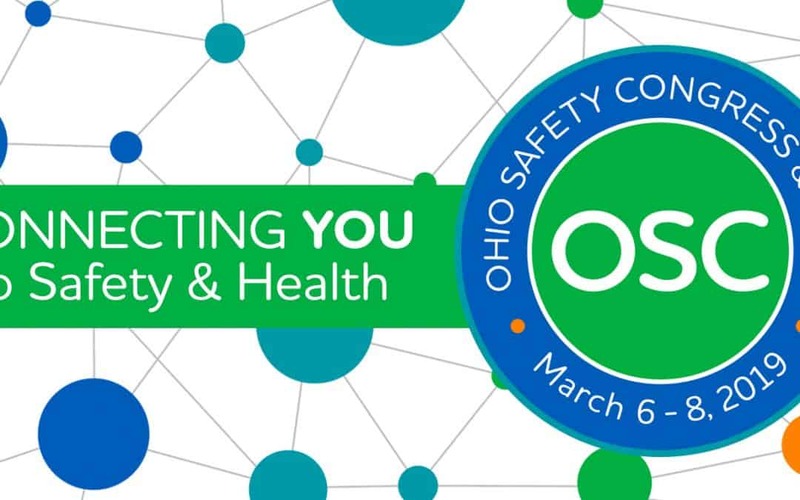 The Ohio Safety Congress is the largest and longest-running regional occupational safety, health and workers’ compensation conference in the U.S. It’s free to attend–register here.